Find unique and tasty brownie recipes. The brownie is a hybrid cross between a cookie and a cake. The brownie recipe was first introduced to the U.S in the late nineteenth century and really came to popularity in the beginning of the twentieth. The great thing about the brownie is how versatile of a dessert it is. Depending on the flavors you can make the brownie, you can make it very chewy or more like a cake substance. You can also add your favorite sweets such as nuts, chocolate chips, frosting, and other treats. If you plan on using brown sugar instead of chocolate, you would then create what is called a blondie brownie. 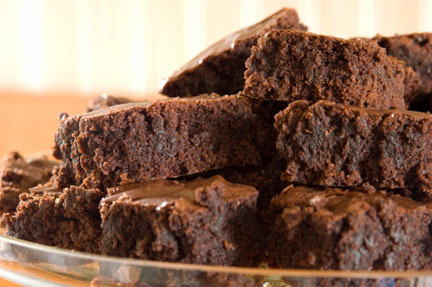 When one thinks of a brownie recipe, you would usualy eat these with some milk or coffee. Depending on your preference, you can serve the brownies warm a la mode style or colder with some whip cream. The beginning of the brownie recipe started in Chicago when a womone wanted a smaller sized piece of cake. She wanted the same texture, but wanted it to be bite size. The first brownies that came out used apricots and walnuts. 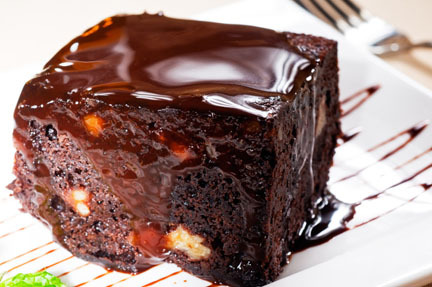 The popularity swept very quickly and these days the brownie is usually a featured desert at most restaurants. Above is a list of 50+ brownies recipes. Everything from the classic chocolate or fudge brownie recipe to the the more unique fruits such as zucchini.